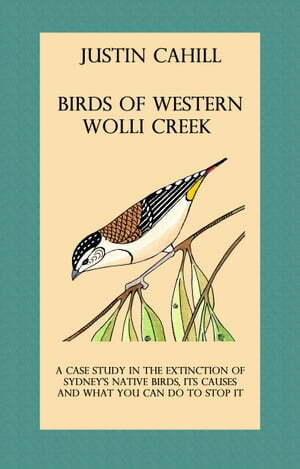 Collins Booksellers - Birds of Western Wolli Creek: A case study in local extinction by Justin Cahill, 9781311790606. Buy this book online. This work draws attention to the increasing localised extinction of native birds in Sydney, an issue of concern to environmentalists that has had very little media coverage. It is based on a case study of the species found in the western part of the Wolli Creek Valley, which lies between Kingsgrove and Bardwell Park. Records from the 1890s to the present show at least 10 native species have become extinct there, mostly due to habitat loss. I discuss how the local extinction of these species mirrors the broader loss of native birds across south-eastern Australia. I examine the short-comings of current State and Federal threatened species legislation and recommend action individuals can take to reverse the process of local extinction, including the re-construction of native habitats.